American rapper Andre 3000 is to star as Jimi Hendrix in a new movie about the rock legend which will begin filming in Ireland later this month. IFTN understands that ‘All Is By My Side’ will document Hendrix’s period in England over 1966 and 1967 as he formulated his debut album and some of the greatest guitar music ever created. The feature film will be written and directed by John Ridley, who is best known as the writer of ‘Three Kings’ and ‘U-Turn’. The project is currently in pre-production in Wicklow, with principal photography set to begin in three weeks time in Dublin and Wicklow. The shoot will last six weeks in total. ‘All Is By My Side’ will be co-produced by Irish producer Tristan Orpen Lynch for Dublin-based production company Subotica Entertainment alongside ‘Donnie Darko’ director Richard Kelly’s Darko Entertainment and Britain’s Matador Pictures. The three companies will produce the movie under the banner of Watchtower Film Productions, with offices based out of Ardmore Studios. 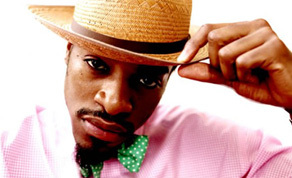 Andre 3000 – real name Andre Benjamin – is best-known as one half of hip-hop duo Outkast who have had a number of worldwide hits including ‘Ms Jackson’ and ‘Hey Ya’. His acting career includes roles in American TV show ‘The Shield and Guy Richie’s ‘Revolver’. The film will be set in 1966 and 1967 and cover the period in which Hendrix was discovered in a New York club by Rolling Stone guitarist Keith Richard’s then girlfriend Linda Keith. She subsequently introduced Hendrix to manager Chas Chandler who brought Hendrix to London in 1966, where he recorded his debut album ‘Are You Experienced’ and had his first taste of success. Over that period – 1966 to 67 – Hendrix went on to formulate some of the greatest guitar-driven records ever made. IFTN understands that locations pencilled in to be used include Bray Head Hotel; the John Player Cigarette Factory on South Circular Road; Bray itself; a number of nightclubs in Bray, Dun Laoghaire and various other locations around Dublin. Among the other key Irish crew who will work on the project are line producer Donna Eperon (Love Eternal, The Other Side of Sleep); assistant art director Nenazoma McNamee (Dark Touch); cinematographer Tim Fleming (Once, Citadel); hair stylist Lorraine Glynn Whelan (Breakfast On Pluto, Albert Nobbs); make-up artist Morna Ferguson (In America, The Guard); prop buyer Sarah Kingston (Byzantium, The Guard); Ele Wood (The Other Side of Sleep) and art department trainee Julia Davin-Power (Love Eternal). Leonie Pendergast (Raw, What Richard Did) will work on costume design, while Dan Birch (Camelot, Parked, The Tudors) will look after the on-location sound. Other crew on-board include English production designer Paul Cross (Spooks, Luther).